Anderson Fire Protection ("AFP") is a family owned and operated business serving the Greater Toronto Area ("GTA") and surrounding areas since 2007. We provide total fire protection services for the complete construction market: Industrial, Commercial, Institutional ("ICI") and residential. We provide installation and maintenance of sprinkler systems in both residential and commercial buildings, as well as engineering and design services. 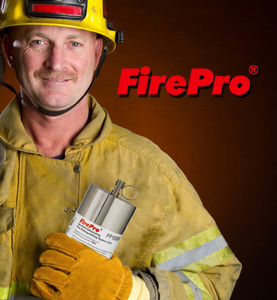 In addition, AFP sells and services a broad range of fire protection equipment. Whether it's a fire sprinkler system or a more specialized fire protection system, AFP can offer you the best design, installation, testing, repair and maintenance available in the industry. 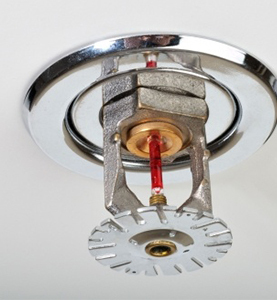 We are dedicated to making sure that sprinkler systems are installed to the highest professional standards. The benefits of sprinkler systems and how sprinklers can play a significant role in saving life and property from the devastating effects of fire. To these ends, Anderson Fire Protection works closely with the government, building control officers, insurers, architects, town planners, and other organizations to insure that installations are not only done right, but used where they are needed. All of AFP's sprinkler fitters hold a Red Seal Certificate of Qualification in the installation of sprinkler fire protection. The AFP team collectively has 55 years of experience in fire protection and is a member of U. A. Local 853 Sprinkler Fitters of Ontario. If you wish to discuss any aspect of your requirements for fire safety systems or service and maintenance of your existing systems then please do not hesitate to contact us to see how we can help you.